Powerful, slow dissolving 200g tablet of Trichlor with copper. Not recommended for use in vinyl lined pools. 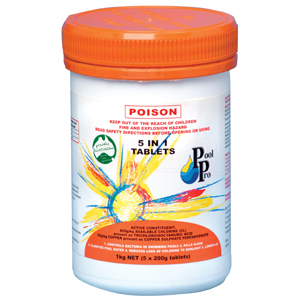 Reduces loss of chlorine to sunlight.